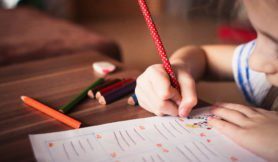 You might hear the children groan when you suggest some educational activities outside of school, but here are some ways you can engage them with maths and English without them even realising! Pass the time by setting number related challenges, maybe with the promise of a prize at your destination to get a bit of competition going! Who can spot the first 30 mph sign? Can they count the number of blue cars they see on the journey? Who can find a number plate with the number 9 in it? This is a fun and quick activity to engage children with storytelling. Write a short story in 10 sentences or so and then cut it into strips so each sentence is separate from the next. Pop them in a jar (or a hat will do) and then challenge your child to piece the story back together! It’s a great way to get them thinking about the structure of a story and checking that the sentences all make sense. Baking cakes and cookies can easily become an educational game as all cooking requires some element of maths. Test your child’s maths skills by asking them to add up or adapt a recipe for different quantities. The great thing about this is that you get to eat the results at the end! Going to the park, the library or simply out to the shops? Before you head off, set your child the challenge of becoming a journalist to make the day more fun! They have the exciting responsibility of writing the front page news for tomorrow’s paper, reporting on the activities of the day. Can they use descriptive language to bring the news to life? What headline would they choose to grab people’s attention? We believe that children learn best when they are engaged and comfortable. Our centres give each child the space to unclock their imagination in a vibrant and welcoming environment. But don’t just take our word for it – come and visit your local Explore Learning centre today! Inspire us with your quotes!